Hello everyone. Today I am going to show you my website ADawnBooks.com, which features all my books before taking it down. In the past, I have had 5 to 7 websites powered by WordPress for which I would write and maintain on a regular basis. However, this was taking lot of time and resources. Besides, I had to always chase after my programmer to fix things here and there, which became a nuisance. To simplify my life and everything, I decided to keep one active website: ahmeddawn.com. As I am more concentrating on YouTube, this makes perfect sense and I don’t need to spend time worrying about maintaining all these websites and chasing after my programmer. I still hold 35-40 domains, but they are parked domains and I don’t need to maintain them. I will have more videos on the Internet and websites in the future. Thank you for watching. Please subscribe and like. Warren Buffett, the world’s greatest investor, richest man, and dedicated philanthropist, wrote an op-ed post in The New York Times on Oct 16. In this post, Buffett stated that he is getting rid of cash (lots of it) and buying stocks. Buffett’s decision to trash cash and buy stocks amid an ongoing financial crisis has created heavy buzz and it is expected to bring some confidence back in this time of market turmoil. I find Buffett’s article somewhat interesting because what he mentioned in it resembles with what I said in my book, Invest Now. Let me point it out to you by doing a comparison. Invest Now is jam-packed with timeless material which is true today, and will remain true forever. In Invest Now, I emphasized staying invested for the long run and asked you not to panic in market turmoil such as what’s happening globally right now. Start investing, focus on your long term goals, and you will survive global financial meltdown. The Fall 2008 Toronto Small Press Mini Fair will take place at the Tranzac Club, 292 Brunswick (south of Bloor), Toronto from 6pm-11pm on Sat, November 1st, 2008. I will be participating in this event. This is a great opportunity to meet Canadian authors under one roof. Just stop by to say Hi. Hope to see you there. The Toronto Small Press Group meets twice a year. I also attended The Toronto Small Press June 2008 Book Fair. I will be posting video clips and pictures of The Fall 2008 Mini Fair on Sunday. To view all June 2008 Fair related posts, visit The Toronto Small Press June 2008 Book Fair. Also check out The Toronto Small Press Group website. The Fall 2008 Toronto Small Press Affair took place at the Tranzac Club, 292 Brunswick (south of Bloor), Toronto from 6pm-11pm on Sat, November 1st, 2008. I participated in this event, and I am posting a video clip and pictures for your viewing pleasure. The weather was nice (8 °C no wind) and lots of visitors attended the fair. The Small Press Affair featured lively entertainment such as eclectic readings, musical performances, raffle draw etc. I like attending this kind of event and I encourage entrepreneurs to join any events like we had today. This gives you an opportunity to meet many other like-minded people and it will increase your networking capability which is very important. I was able to hand out lots of cards with A Dawn Journal site information on it. A good chunk of blog success depends on effective marketing, and you need to market your blog continuously to become successful. The video is not crisp clear as the lighting inside the Transac Club was not that bright; however, the video quality is still good. Enjoy. Visit The Toronto Small Press Group Website for more info. For more pictures and video clips, visit A Dawn Journal on YouTube. I am writing this post to let you all know that Invest Now has been published and available at all major online stores. Invest Now delivers a convincing case for avoiding daily spending temptations and then shows you the secrets to smart investing. With as little as $25, you can become a successful investor by following three simple and practical steps. The must-have guide for Canadian investors, Invest Now delivers three surprisingly simple steps to safeguard your financial future. You don’t have to be a financial guru to develop a consistent savings plan and accumulate wealth. Invest Now offers all the tools and motivation you need to start building a safe and secure financial future now for you and your family. Invest Now has won prestigious Editor’s Choice and highly prestigious Publisher’s Choice award for its editorial integrity and outstanding design quality. 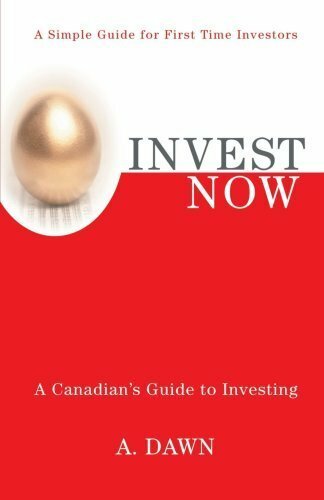 I will issue a pres s release shortly stating the publication of Invest Now. Invest Now is not available at bookstores yet. Invest Now will take another two to three weeks to hit Chapters shelves. I will let you know once that happens and also will issue another press release.